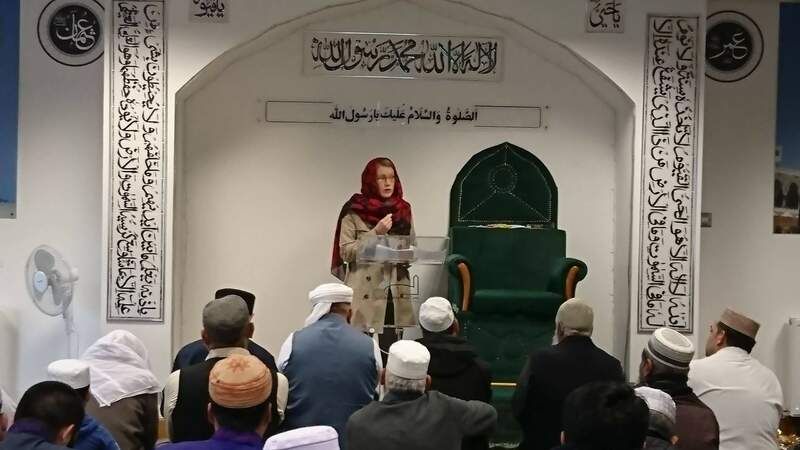 On Friday 6 April 2018, Dunfermline Central Mosque reached out to Shirley-Anne Somerville MSP of the Scottish National Party to deliver a brief talk on Islamophobia before the Jumu’ah prayer. Yvonne Ridley praised the mosque for giving a non-Muslim woman a platform to speak in the wake of the ‘Punish a Muslim Day’. As a result of the good work by the mosque, Imam Habibur Rahman was then nominated by Shirley-Anne to represent the mosque and lead the ‘Time for Reflection’ programme at the Scottish Parliament. He has been confirmed to speak in November.